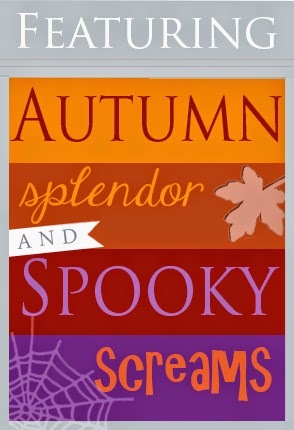 I have a Spooky Scream card today, but don't be afraid. It's full of spook-tacluar fun! Don't be shocked, but this card has no hand coloring!! For an infusion of color, I used color blocking techniques. 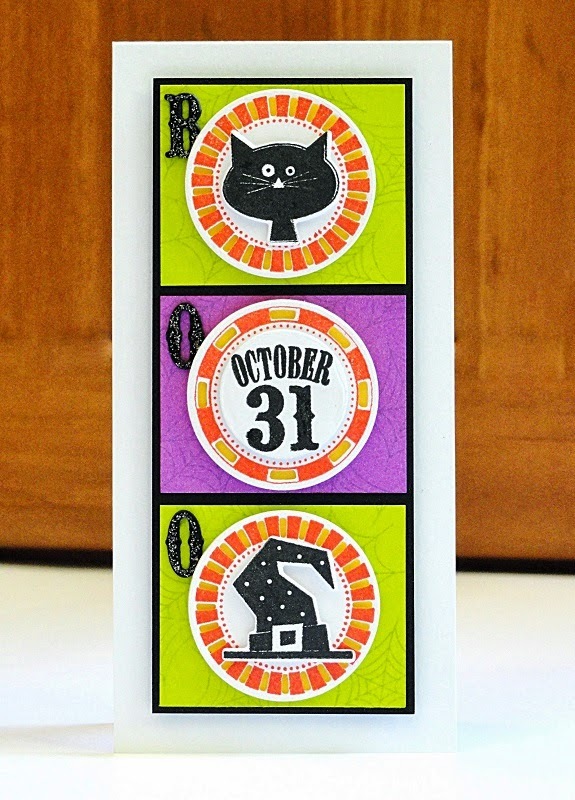 It was a snap with Penny Black's stamps and dies from their new fall release. They have coordinated Encircled and Spooky Spheres to work together. All you have to do is pick some frightfully fun ink colors. 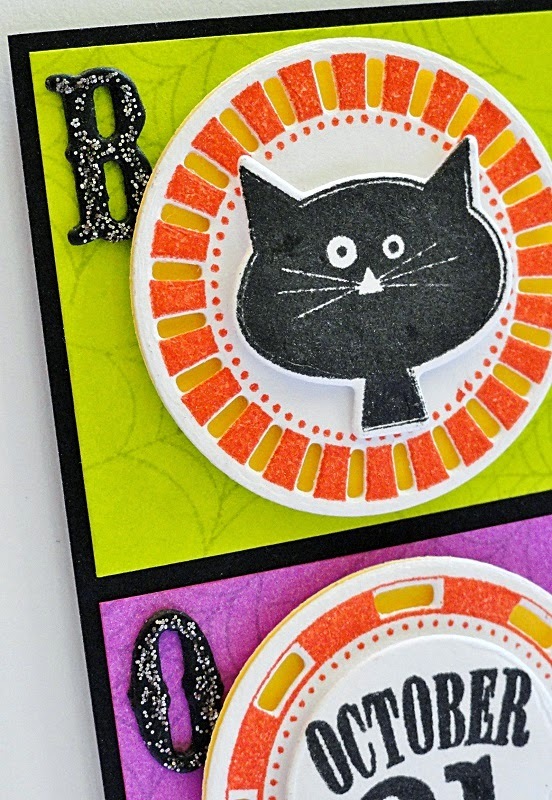 In this close up you can see how the stamped and die cut circles can be layered to create fabulous medallions. To create a constant between the color blocks, all the spider webs were stamped with London Fog Memento ink. A quick finishing touch of gunmetal Stickles to the die cut letters adds just the right amount of terrifying sparkle! For card instructions along with a complete supply list click HERE. We are getting ready to.... HOP!